Anyone who's visited the Aquarium recently has likely noticed our colorful new Sea of Cortez exhibit on the first floor. If a visitor paused a moment, they may have seen this fascinating little fish doing a little excavating. Bluespotted jawfish (Opistognathus rosenblatti) build their burrows by scooping sand with their large mouths and spitting it out the entrance of the nest. While they do venture out of their burrows to feed on invertebrates in the water column, they are quick to dart back inside when threatened. 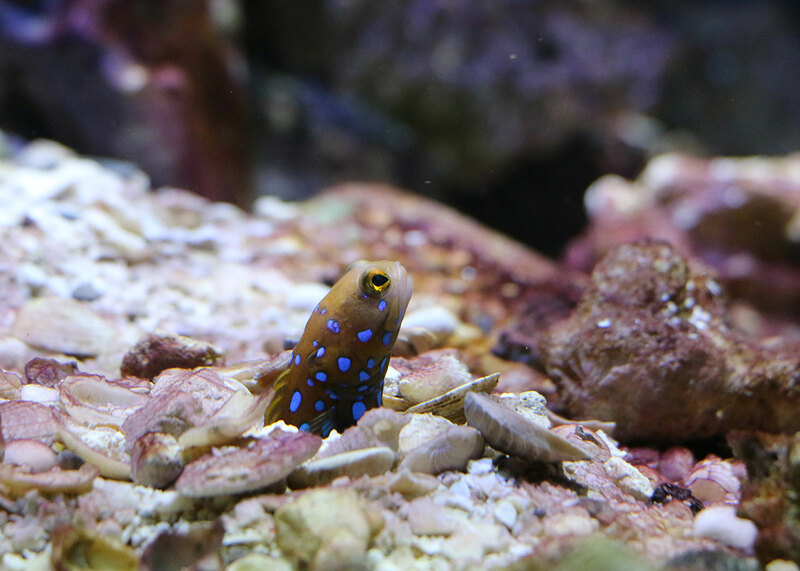 Check out this short video clip to see the jawfish in action. The jawfish is just one of several interesting species living in the Sea of Cortez exhibit. This beauty — a Moorish idol (Zanclus cornutus) — is the only known member of its taxonomic family. The name is purportedly derived from the an ancient belief that they bring happiness to those who encounter them. Sea of Cortez exhibit on Level One. And then there's the gold-rimmed tang. Learn more about its territorial spinning behavior in this previous post. Plus the Cortez rainbow wrasse, the keyhole angel, and the list goes on. There's also a whole other marine habitat in this exhibit, too — a deep Pacific coral environment. See a video of this display here. The Sea of Cortez, also known as the Gulf of California, is a special corner of our marine world. As one of the most biologically diverse marine areas in the world, it was inscribed as a UNESCO World Heritage Site in 2005. (The Phoenix Island Protected Area was named a World Heritage Site this year! Learn more about this Pacific Ocean marine protected area that the Aquarium helped create on the PIPA Blog.) 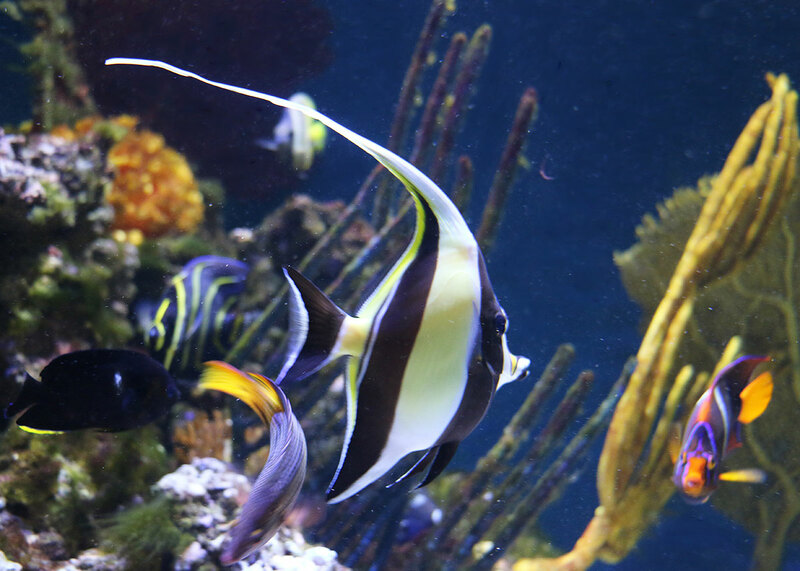 Come on down to the Aquarium to glimpse a slice of this vibrant ocean habitat right here in Boston!